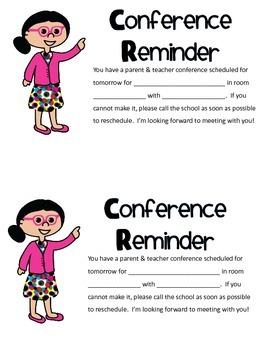 A note to remind your parents of conferences! 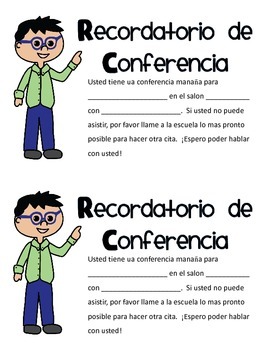 Simply fill in your name, the room, and time of conference. 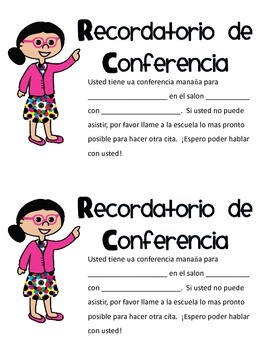 This note is translated into Spanish for your convenience and includes both a male and female teacher. 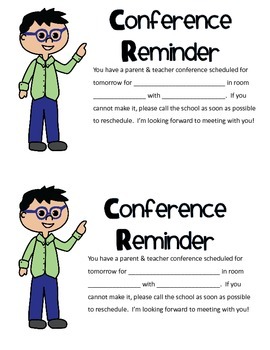 Have a wonderful conference week!